When it comes to sharp-pointed political campaigns, things today aren’t much different than they were in the mid 19th century. Sometimes that can be a good thing. If it wasn’t for boasting and bitter exchanges in 1840, the Democratic Party might not have used the rooster as its mascot. “The rooster is actually the official symbol of the Democratic party, going back many years,” said Michael J. McQuillen, owner of Political Parade, which specializes in campaign memorabilia. The donkey, despite its modern-day popularity, never got the official nod from party officials. 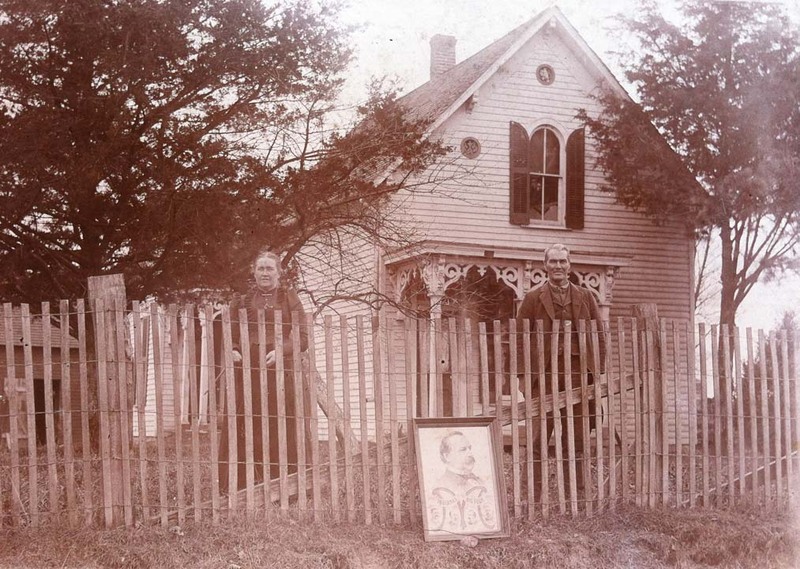 The story of the Democratic rooster dates to 1840 and involves Joseph Chapman. 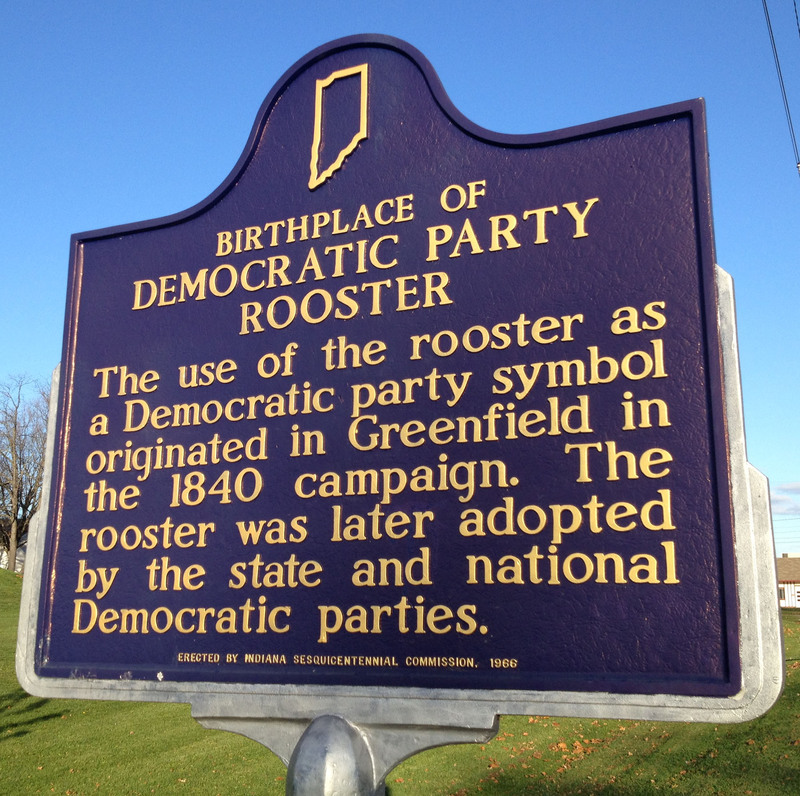 In The Rooster: Its Origin as the Democratic Emblem, author John F. Mitchell Jr. portrayed Chapman as “an honest, sincere man, gifted with a pleasing personality, a convincing tongue, and a wit remembered to this day for its keenness.” After moving to Greenfield, Ind., in 1829, Chapman was elected Hancock County clerk in 1832 and a member of the Indiana House of Representatives beginning in 1837. Described as a Democrat of the Jacksonian type, he ran for re-election in 1840, at the same time Democrat Martin Van Buren squared off in the presidential race against the popular Whig candidate, William Henry Harrison. Chapman’s self-assured style and ability to sway voters brought him into play in the national race. The letter inadvertently made it into the hands of Thomas D. Walpole, Chapman’s rival for the House seat. The Whigs seized the opportunity, suggesting their opponents were running scared. The Democrats, however, turned the saying into a battle cry, “Crow, Chapman, Crow!” But, it wasn’t enough. Although Chapman was re-elected, Van Buren was defeated. However, Democrats continued to promote the rooster as their party symbol. Early ephemera includes copies of the Indiana State Sentinel, a Democratic newspaper in Indianapolis, which began publishing in June 1841. The rooster and the slogan “Crow, Chapman, Crow!” were used as part of the masthead. An 1844 campaign ribbon for James Polk pictured a rooster. An example sold for $1,430 at Cowan’s Auctions in 2002. From that same presidential race, a campaign ribbon for Whig candidate Henry Clay shows a raccoon, the Whig’s mascot, holding a rooster by the throat and asking, “Can’t You Crow?” The ribbon sold for $597 at Heritage Auction Galleries in 2007. 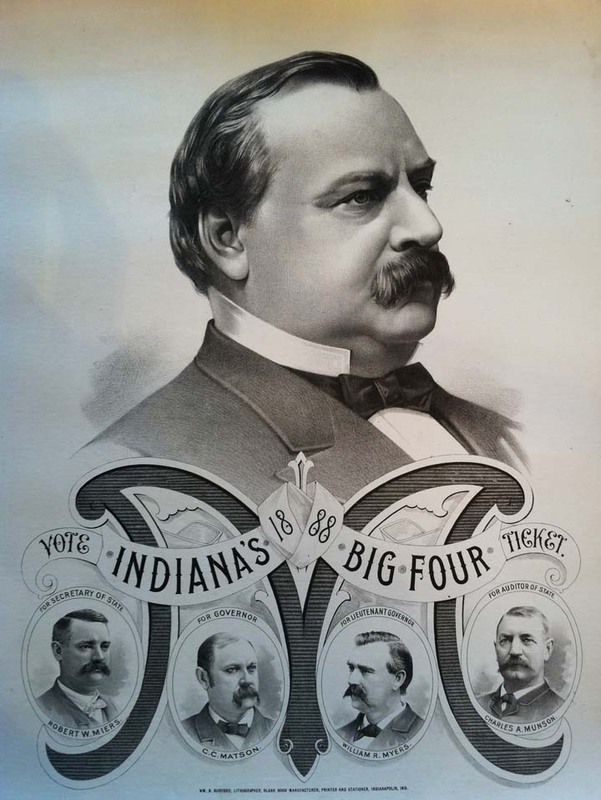 Textiles include a number of bandanas promoting Grover Cleveland and Allen G. Thurman in the 1888 presidential race. Picturing a rooster flanked by brooms, examples sold for $187 and $242 in Cowan’s auctions in 2001 and 2002. From the 20th century, a rooster was part of the design of a clear glass bread plate picturing the 1908 Democratic ticket of William Jennings Bryan and John W. Kern. The plate brought $770 at a Cowan’s auction in 2001. 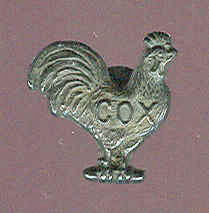 Offered on PoliticalParade.com, metal lapel studs in the shape of a rooster, embossed “Cox” for 1920 presidential contender James Cox, are priced $25 to $30. Without the lettering on the rooster, a similar piece having a circular band that reads “I Will Crow In November” is $25. From the 1928 race, a poster picturing a rooster at the top, lettered “We’re Going to Win / Vote for Al Smith,” described as the “only example we’ve seen,” sold for $139 at Hake’s Americana & Collectibles in 2011. Contemporary items are also available. From the current president race is a jugate pinback button picturing Barack Obama and Joe Biden flanking a rooster dressed in red, white and blue. Examples have recently sold on eBay for $1.